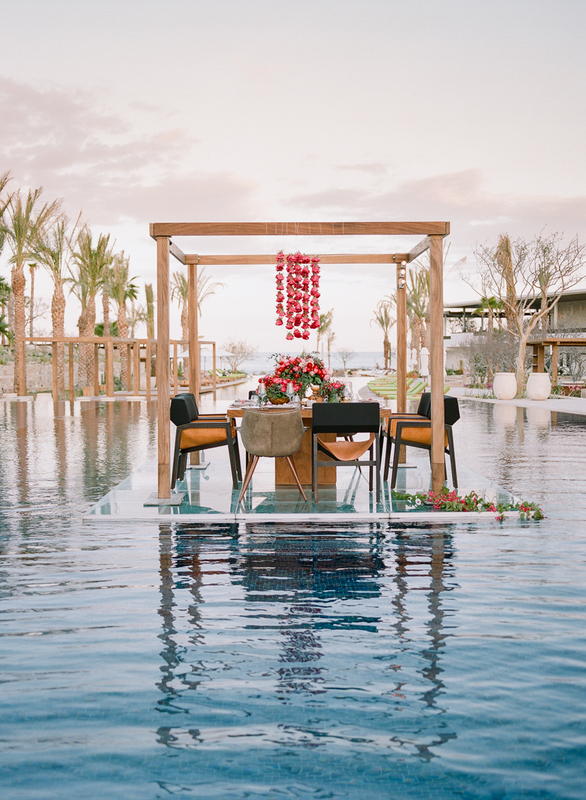 …away on LOVE for this gorgeous tablescape, we designed, in the middle of the pool, at Chileno Bay Resort & Residences. 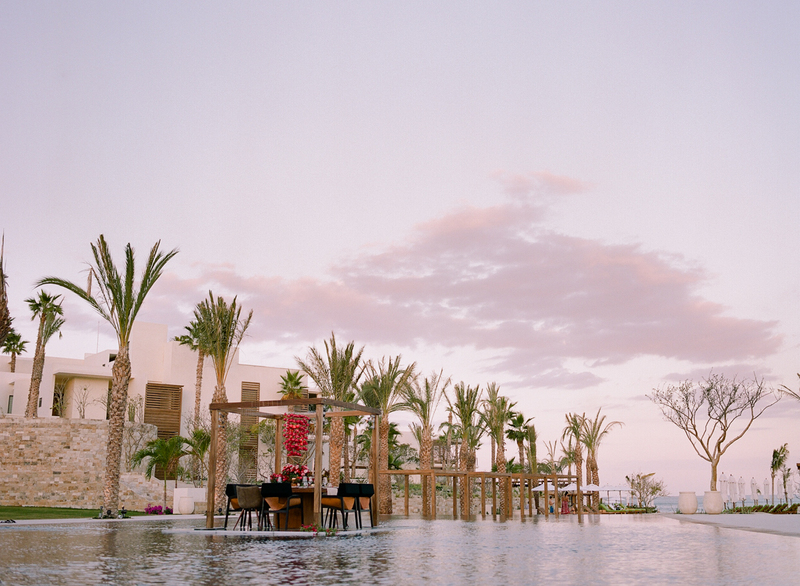 Such a dramatic setting for a special occasion, don’t you think? 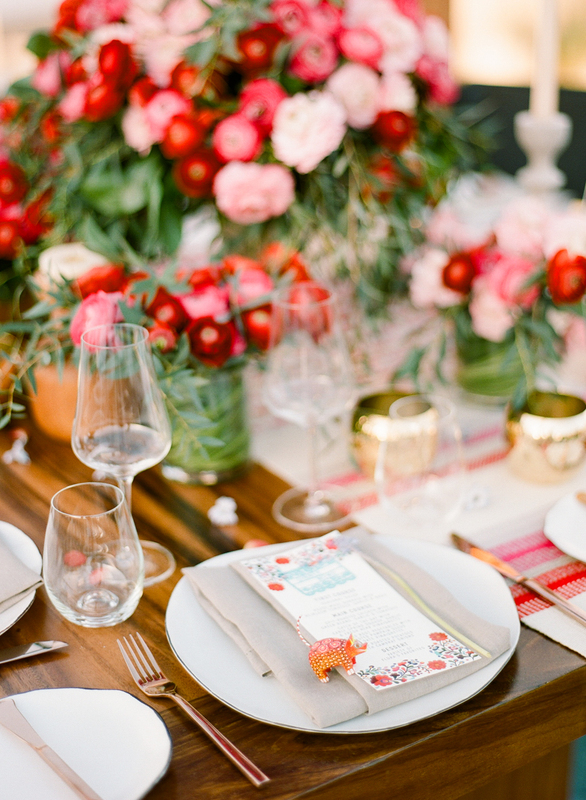 Especially when the dinner table is literally floating, and is overflowing with red, coral, and pink flowers! 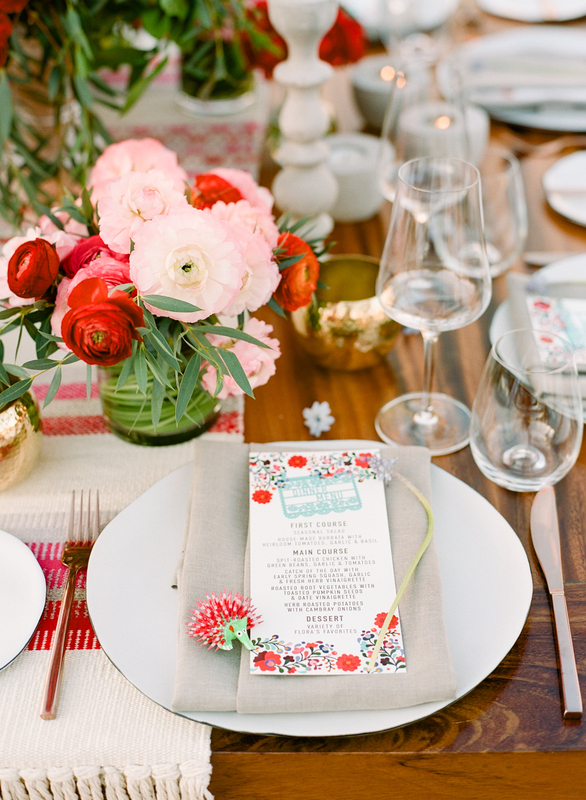 Specifically, the soft round, romantic faces of ranunculus and roses, used en masse to great effect. 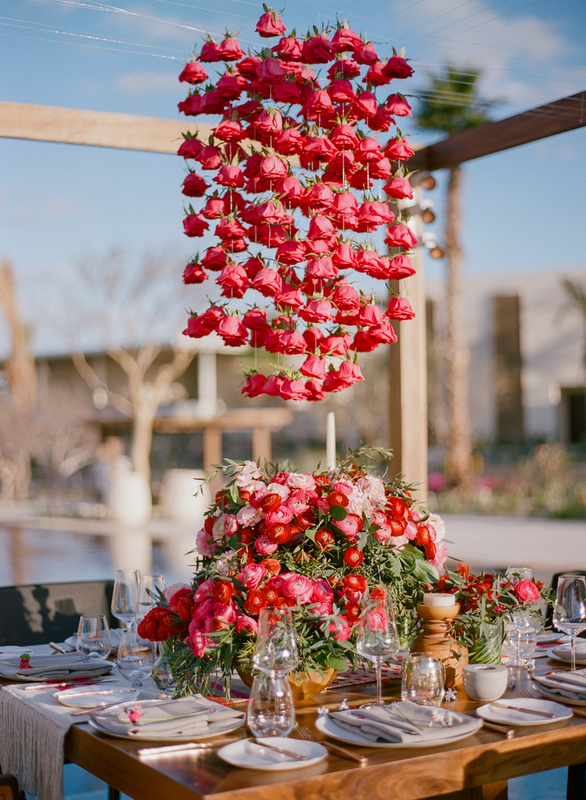 Elena Damy, our Creative Director, even created a modern, red rose chandelier to float over the floral centerpiece for added impact to the table design. 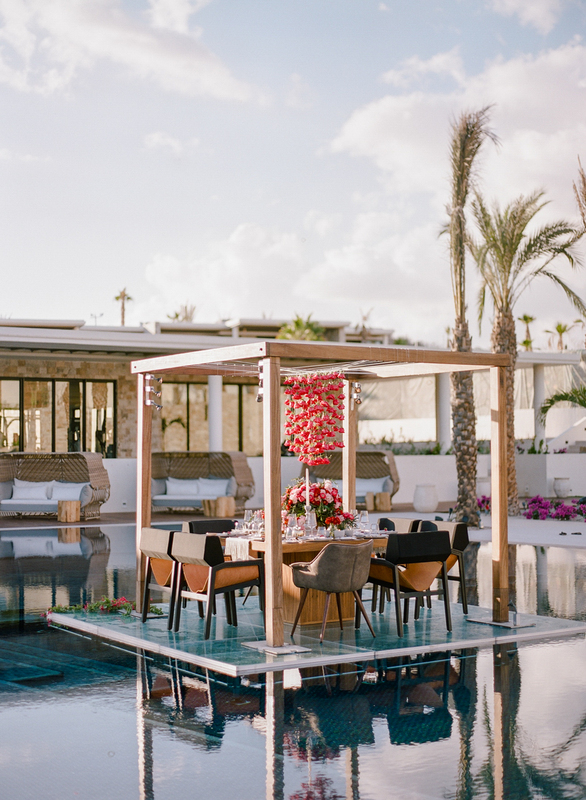 Whether you’re looking at the table from a distance or experiencing this design from a chair at the table itself, it’s not a meal to forget anytime soon.